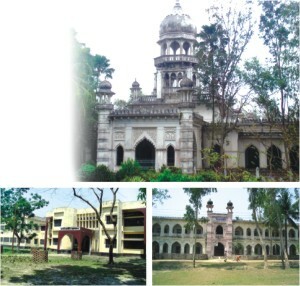 RANGPUR Carmichael College is a part of heritage and history of Uttar Bango (northern Bangladesh). It is indeed one of the oldest and best colleges in the country. No other college in the country can boast of so beautiful a campus as Carmichael College. It is situated on 900 bighas of land. So far, it is the biggest college in area wise in the country. There are a number of magnificent buildings in the college. These buildings are as old as the college itself. To enhance the opportunity of higher education in Rangpur region with the initiative of local Zamindars (landlords) including Gopallal Roy Bahadur, Mohimaranjan Roy, Babu Monidra Chandra Roy and the local people, this college was established at Lalbag, 4 km to the south from zero point of the town. The then first Governor of Bengal Lord Baron Carmichael formally inaugurated the college in 1916. Therefore, the college was named after him. Once upon a time it was the only institution for the students of the northern part of the country to receive higher education. From the very beginning till now it upholds its excellence in imparting quality education to its students. About 12000 students in honours and masters levels are studying in the college. Courses of graduation and post graduation degree in 14 subjects are being given under National University.